Just last week, Paul Anderson received a complaint—one of many he’s gotten recently. A schoolteacher in St. George called him and said that because of The Piano Guys, there aren’t enough cellos for all the students requesting them in the school orchestra. “It’s not like we’re trying to cause problems, but it’s cool to see a movement, to see kids getting excited about instruments and classical music,” says Anderson, The Piano Guys’ co-videographer and producer, on behalf of the group. The five dads from Utah—St. George and Salt Lake City—have had astounding success with their pop-classical mashups released on YouTube. Their channel has more than 790,000 subscribers, with more than 143,000,000 million total views of their videos. The videos feature the group’s two musicians, “New Age Classical” pianist Jon Schmidt and innovative cellist Steven Sharp Nelson. The group’s name is misleading: Schmidt is the only pianist. Co-videographer Tel Stewart and studio musician and songwriter Al van der Beek round out the lineup. From their wide-sweeping following, The Piano Guys hope to convert folks, especially a younger generation, to the realm of classical music—and, possibly, help spread the word of God. More on that later. Anderson was the group’s first classical-music convert, actually. “Before I met Steve, I didn’t know what a cello was, and I could care less about classical music. I thought it was boring,” he says. To do so, they cover current Top 40 pop songs, albeit with a classical twist (e.g. Coldplay’s “Paradise,” Adele’s “Rolling in the Deep” and Bruno Mars’ “Just the Way You Are”). But it’s the mashups that are their bread & butter, like “Beethoven’s 5 Secrets” (OneRepublic’s “Secrets” and Beethoven’s 5th Symphony), and the video that launched their career into full-on production, “Michael Meets Mozart” (the King of Pop meets the King of Classical). However, Anderson and Stewart’s piano-shop experience proved useful in getting pianos onto the Salt Flats or on top of a giant red sandstone cliff. “I’ve always wanted to put a piano where you’ve never seen a piano before,” Anderson says. The awe-inspiring vistas and diverse scenery of southern Utah are like the group’s sixth member. The geography has helped gain traction and increase numbers on YouTube, Anderson notes. “Putting a still image up there isn’t going to get people excited [about listening to classical music],” Anderson says. Anderson is somewhat obsessive about the numbers. “I check the YouTube charts every day,” he says. “When we release a video, we look at our statistics and additional subscribers,” Anderson says. It’s about perfecting a marketing strategy. Sony Masterworks realized this and signed the group this summer. 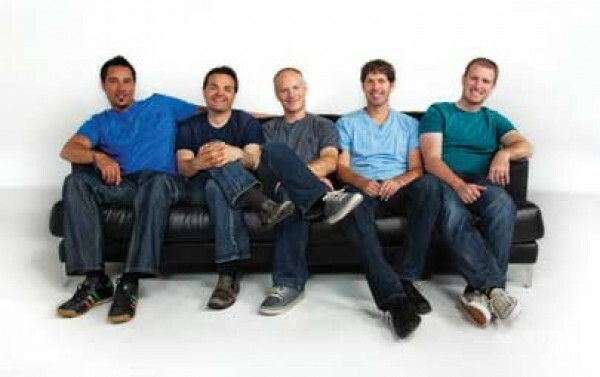 The Piano Guys’ self-titled, 13-track album will be released Oct. 2, featuring YouTube covers and mashups. After that, they’ll evaluate the timing for a potential additional musical shift toward religious tunes. But before The Piano Guys start affecting listeners’ souls, they will continue to inspire new classical-music fans and take calls and read letters from overwhelmed schoolteachers or proud parents.